Sales of Industrial Gas Engineering twin city fans blowers, heavy-duty industrial fans blowers, industrial gas engineering twin city fan ventilators, twin city tcf blowers, industrial gas engineering combustion aerovent fan blowers, oven exhaust fan blowers and O.E.M. 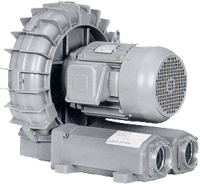 industrial gas engineering fans from stock for heavy duty exhaust and supply fans blowers systems. Industrial Fan company supply Blower Fans high temperature pressure blowers, centrifugal fans and axial blower fans, twin city air handling fans and blowers, heavy duty industrial process fans. Engineering sales of Industrial pressure blowers, commercial fans, high temperature heat blowers, pressure blowers, OEM fans, roof and wall power fans, process and OEM blowers, custom built fans, ventilators, dust collectors, combustion blowers and high temperature oven circulation fans. In order to achieve a proper sealing, the mechanical shaft seal should be purged. The recommended purge pressure is 2 to 5 PSI above the process gas pressure. Lip seals are furnished with two seal elements, each with a stainless steel spring for maintaining surface contact. The seal assembly is lubricated with" never-seeze". Mechanical seals are double or triple carbon ring seals mounted in a carbon steel housing. 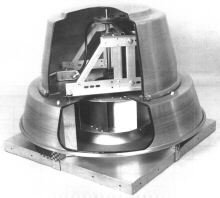 The seal housing is furnished with two purge ports.